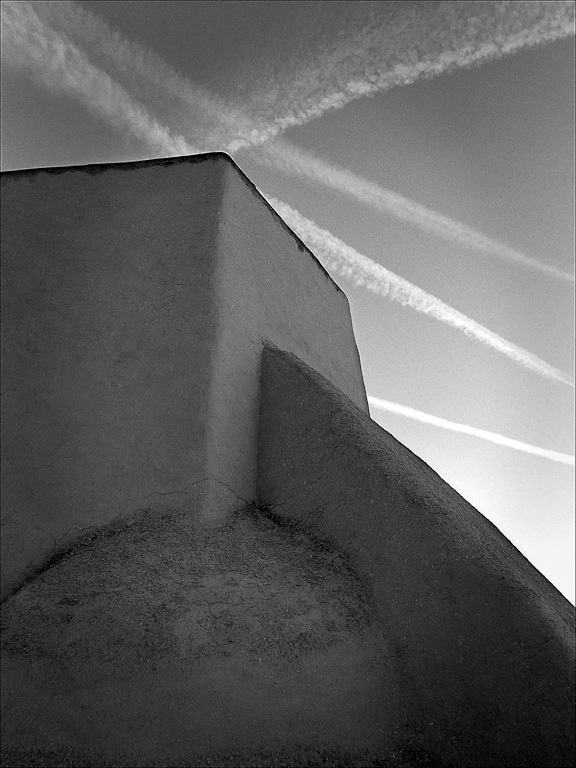 Rancho de Taos, not Taos itself but a little south, centers around the famous San Francisco de Asis church which has been photographed by everyone in the world who has passed by. It was painted by Georgia O’Keefe and photographed by Ansel Adams and I was privileged to see their juxtaposed images at a show in the art museum in Santa Fe. The light in the late afternoon and into evening is wonderful for photographers but frankly, even at high noon, there are views to admire. Built between 1772 and 1816 the church is on the National Register of Historic Places and is well worth a visit. It is constructed of adobe and is re-plastered every year by volunteers and parishioners. 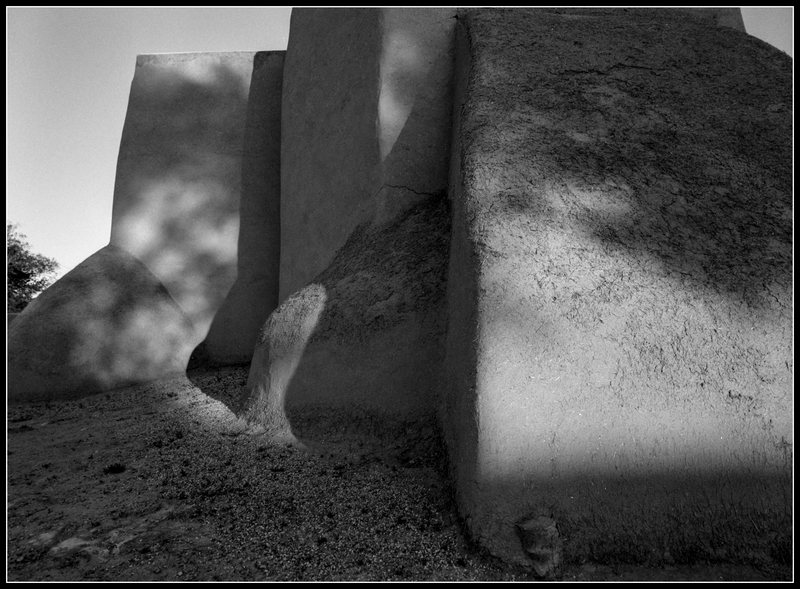 More from New Mexico is coming up soon. 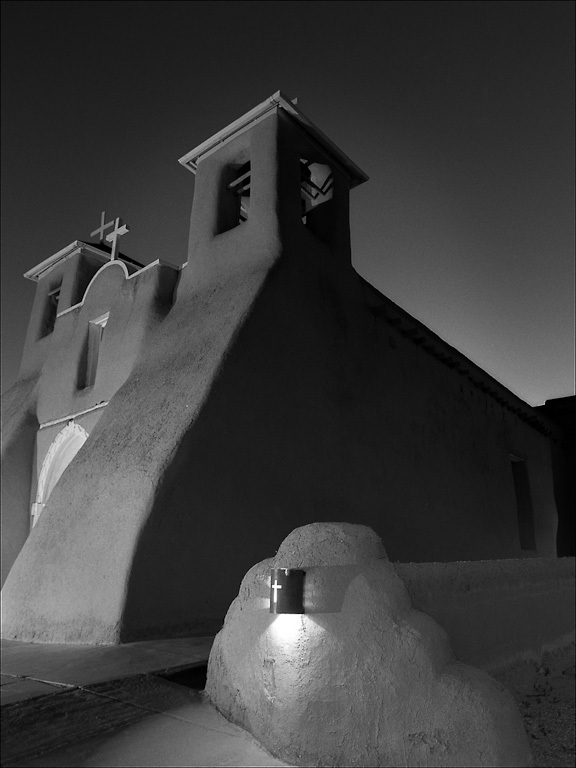 This entry was posted in New Mexico and tagged Church, San Francisco de Asis. Bookmark the permalink. Like the pix with the contrails.